Our mission is......to opera﻿﻿te and maintain a recycling facility that provides a one-source solution for area business, industrial and agricultural operations that offers simple, cost effective and workable solutions for recycling needs. We provide education on recycling, the economic and environmental benefits of recycling and a tailored recycling program that meets the needs of each individual company. Businesses recycle primarily because) it is mandated, 2) it saves them money, 3) it is simple and efficient, and/or 4) the company is benevolent, wanting to do the right thing. Nebraska provides no sound government regulations for recycling and Western Nebraska has few industries where recycling is internally mandated, so mandating is not a given incentive for recycling. Therefore, ABC Recycling focuses on the remaining 3 motivators. Our solutions are simple and efficient providing you one place to take all of your recyclables. Our goal is to make recycling easy for you and expand your knowledge on how you can make recycling work in your operation. We provide education and facts on the benefits of recycling. We will help you create a tailored recycling program that fits your company needs. The process is simple. 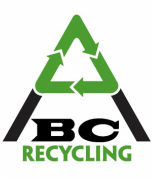 Recycling starts with you, so the first step is to contact ABC Recycling by ﻿email by call c﻿ or by calling us at 308-221-6223. We offer you an opportunity to enjoy a “green thumb” operation. Un-recycled material is useless. It consumes landfill space, takes years to decompose, if ever. Recycling protects our environment, preserves landfill space and extends its life, prevents pollution, provides renewable energy sources, and conserves natural resources. Recycling provides a sense of community wherever it exists. By being a part of the solution, we can save our earth together one pound at a time. We provide you with economic benefits. Every business looks at its bottom line. We tailor a recycling program to fit your needs. We can help you reduce or eliminate trash-hauling costs and landfill costs, thus m﻿﻿aking﻿﻿ you money by saving you money. Recycling improves the economy. Recycled materials can be used to create new products and is more economical than raw materials. Thus, businesses are able to manufacture their products cheaper.